PSD2 Compliance Solution helps banks to meet the strict requirements of PSD2 and Open Banking in a couple of months. The Solution is a cloud service that provides secure, ready-to-use APIs which include back-end technologies, to help in leveraging innovation in a time and cost efficient manner. 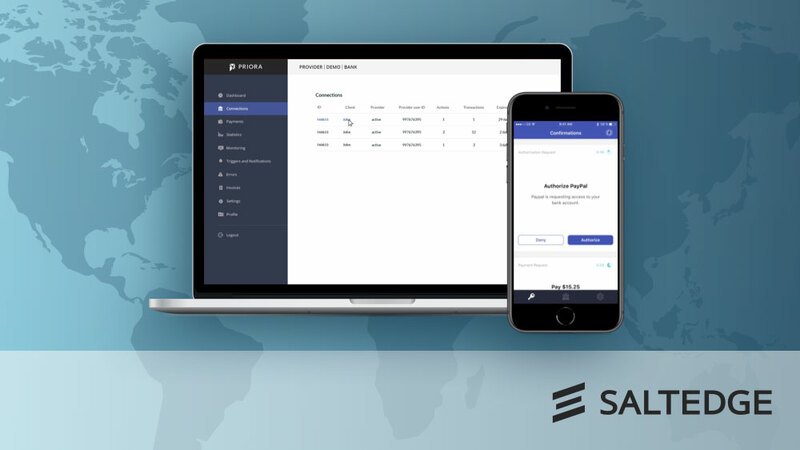 PSD2 Compliance comes with a set of valuable components: a Connector widget, an Authenticator API, support for TPP onboarding, a set of Dashboards, testing environment for TPPs, incident reporting system, a support service and much more. To download the paper, complete the form below. Please verify your inbox, we’ve send you an email with the download link. At Salt Edge we try to provide only the best products and services. If you have any questions, feedback or remarks please contact us at sales@saltedge.com.